16.0 Now THAT’s a planet! I occasionally get Craftster updates and this time I saw this wonderful patchwork planet. From the Froglin Faffing blog. Reminds me of me, where the planning goes one way, and then at the end uses pure luck to complete it. Nice graph, nice organization, I love squishies with a purpose. What’s best? Most fabrics are from her stash! Ever since I saw the image from Periodic Spiral, I’ve been in love with making this periodic table quilt. Here’s a PDF of the image of the Periodic Spiral, and here is the link to the Periodic Spiral website. I can see this exact image as an art quilt posted on a white or black background. Lots of scrappy choices. Or each arm could have different colors representing the similarities of each type of elements. At the beginning of the podcast, I discussed the change of the atomic radius (size of the atom) as shown as trends in the periodic table. 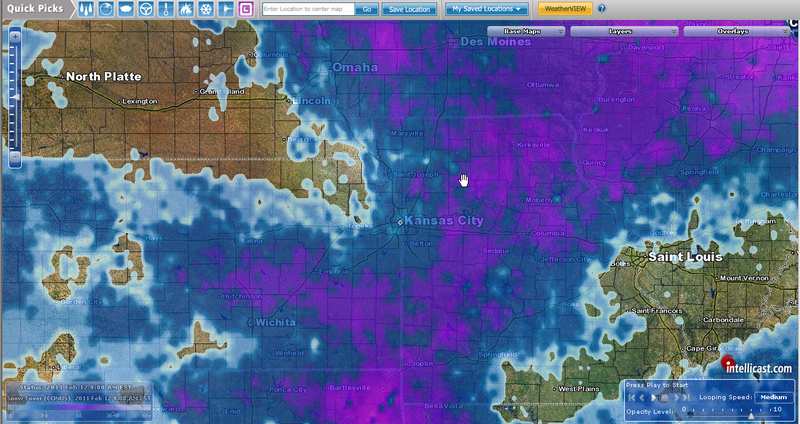 Here’s a visual to what I was trying to discuss. If you want to see a dot diagram of atomic radius as discussed in the beginning of the podcast, click here. Further clicks on this link will show more interesting periodic table views of atomic properties. At the end of the program, I referenced Inkscape, a vector program that can draw lines and curves beautifully. Here is the image I copied, and the image I created. Close enough to worry? Even though my sleeping problems are still as crappy as they were a week ago, this weekend turned from ‘grumpy monkey’ to ‘hopeful’. I honestly shouldn’t be around anyone else when I am in grumpy monkey status – thus the week hiatus. It appears that hope is coming in the form of having a choice, when a week ago, I wasn’t even aware of this choice being available. But now we have a plan in place, so even if the hope from this weekend doesn’t turn out to be good, a backup plan is in place, which makes me settled, and less grumpy. That being said, if things happen one way, then this blog/podcast might go even more quiet for a period of time while the dust settles. If it goes the other way, I should be able to find the time for you all similar to how I am finding time now. Meanwhile, I’ve been on the search for the perfect fabrics for my next quilt, which was referenced in a past post. The ‘pink quilt’ uses atypical fabrics, which again intrigues me. Which may be a good departure for me. And I am learning more and more about EQ7 once I finally settled down into it. 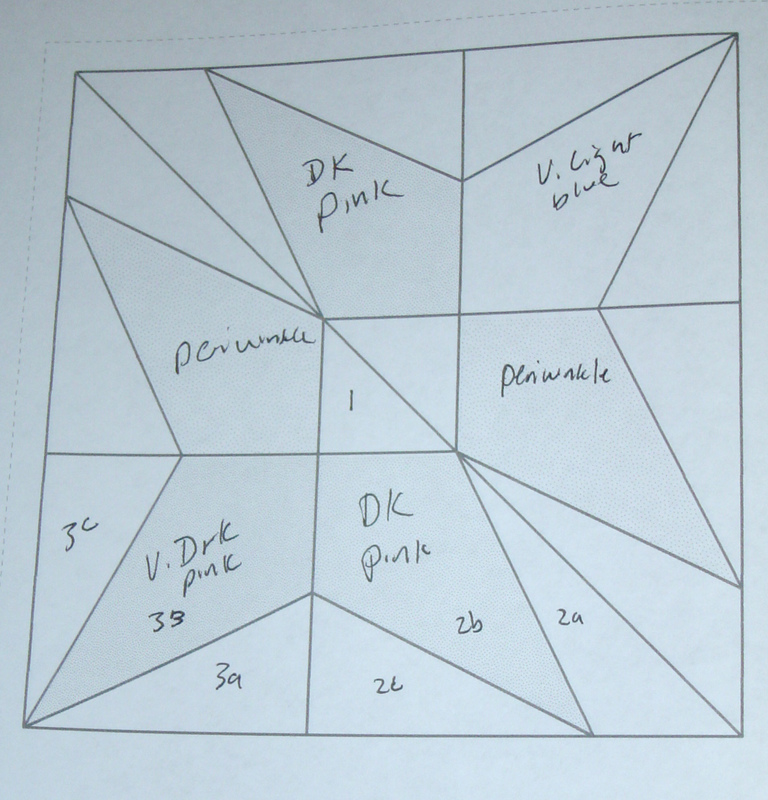 Here is the original block for my pink quilt, castor and pollux, without all the lines needed to paper piece it. 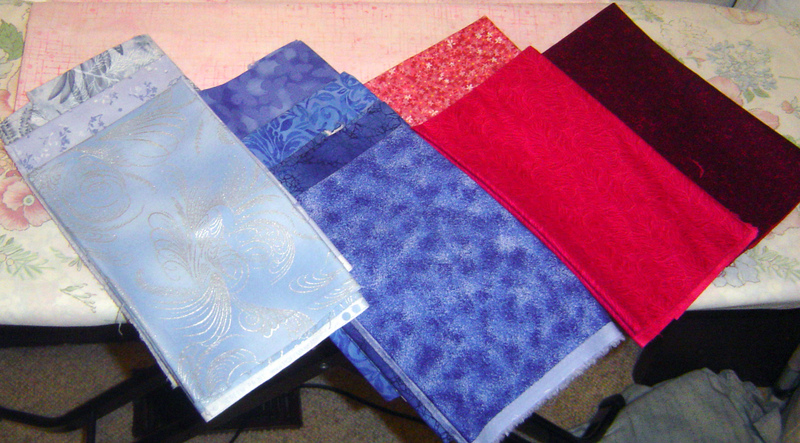 And here is a fabric set that I’ve been debating and debating over, with all the available choices for each fabric. The color hue of the lightest set (on the far left) is the most desired in the middle fabric, but the top fabric has silver sparkles! The one in back has lighter lights (which is desired), but also darker darks (not desired). My favorite two choices for the ‘medium periwinkle’ color are the bottom two, one of which is a fabric that I’ve already used before in my mini black baltimore quilt. The dark one is electrifying, but almost too dark, and the fabric on top is what I purchased for this quilt, but still wasn’t grabbing me as ‘me me me first!’ as I walked out the quilt shop. My favorite color choice for the ‘medium pink’ is the one on the bottom that has all the little tiny flowers on it. My only concern is that the lightest lights of this fabric will be too tight and too noticable. And the dark pink is just lovely! I am leaning heavily toward THESE colors, although I suspect I could be happy with the other variations too. So I played around with EQ7 and my images of my fabric seen here as fabric scans and I put all into EQ. My scale doesn’t exactly match up due to how I ‘scanned the pictures’. How did I do this? Set the block in the quilt. The lightest fabric still is a little dark to my taste. It may turn out okay though. Now I’ll have to work on the block and see. A couple of days ago on my personal facebook page, I posted a design I had happened to see on an antique geometric website. The name of the block intrigued me, Castor and Pollux. Two ‘actual stars’ known by western society as the two brightest stars in the constellation of Gemini, which have some Greek Mythological roots. and superimposing this picture onto a 10 by 10 grid. Tackling EasyDraw again, I came up with a very pink variation of the block, and gave myself something that I could paper piece (in theory). 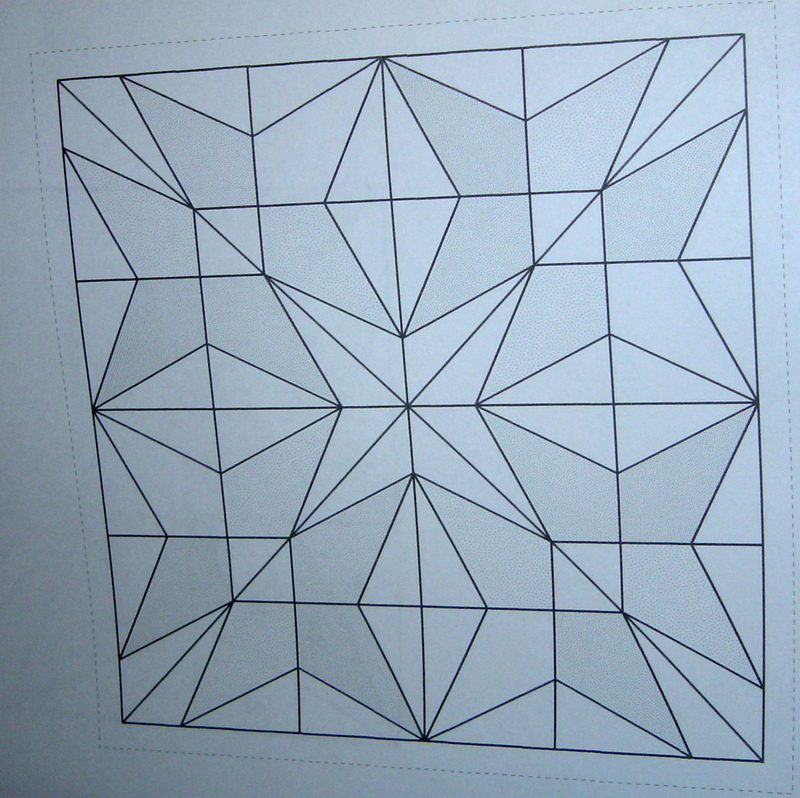 My final version of this block actually has more lines than this (from what I can see here, it’s not putting all the lines in to show the paper piecing version. And since each block is four of the same ‘sub blocks’, here is a sub block printout with notation. 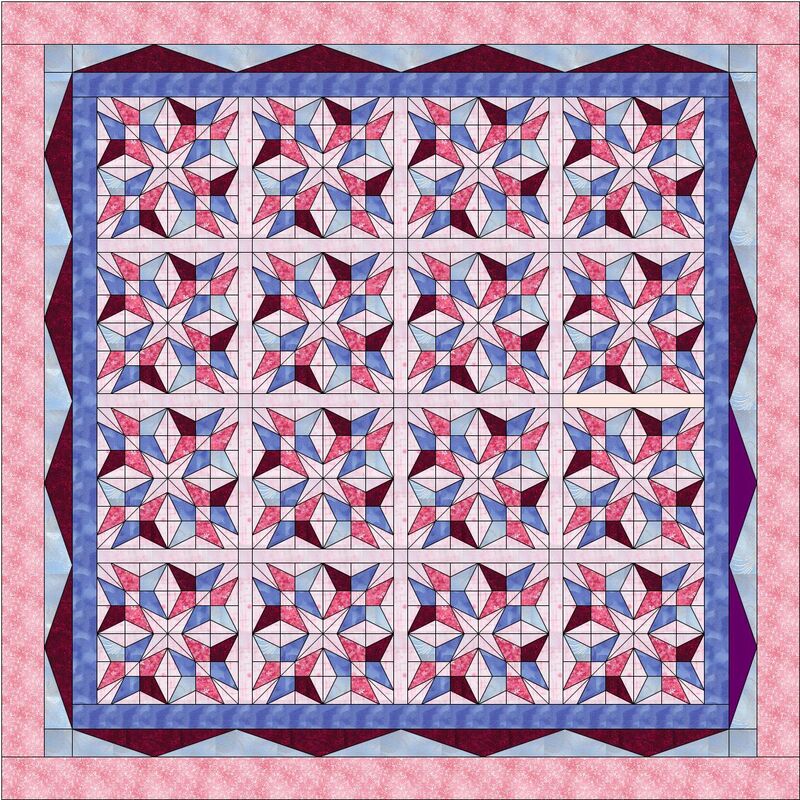 And I thought of a quilt pattern for this block. So 4 subblocks in a block, and 16 blocks in a quilt. This is definitely a Long Term Project! If I decide to do it. 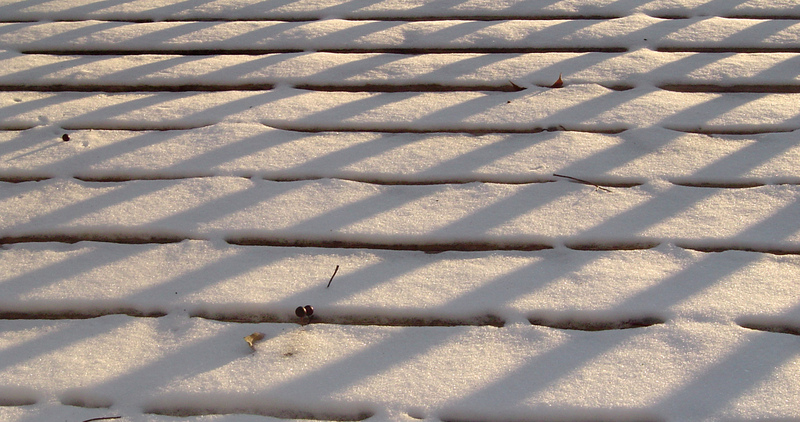 The beginning of the snow season two months ago, I reveled in the patterns created by the light and the snow and the deck. Then in January, I delighted in seeing the presence of tiny visitors in the snow. 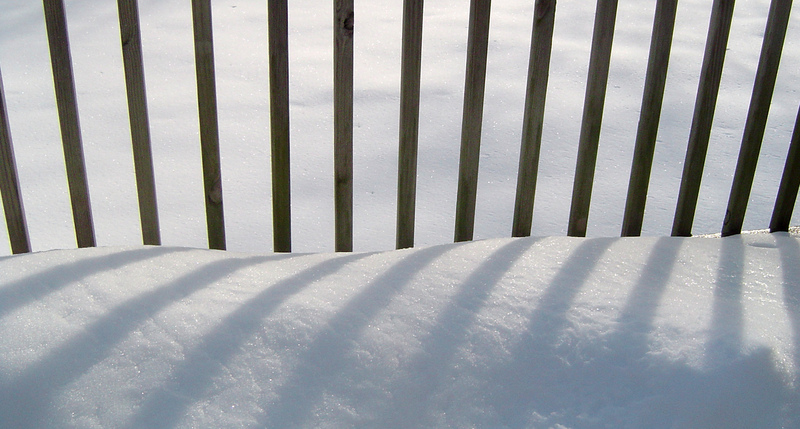 But now in February, this snow has seemed like a prison! Luckily, a massive heatwave is coming to get rid of all this white on the ground. 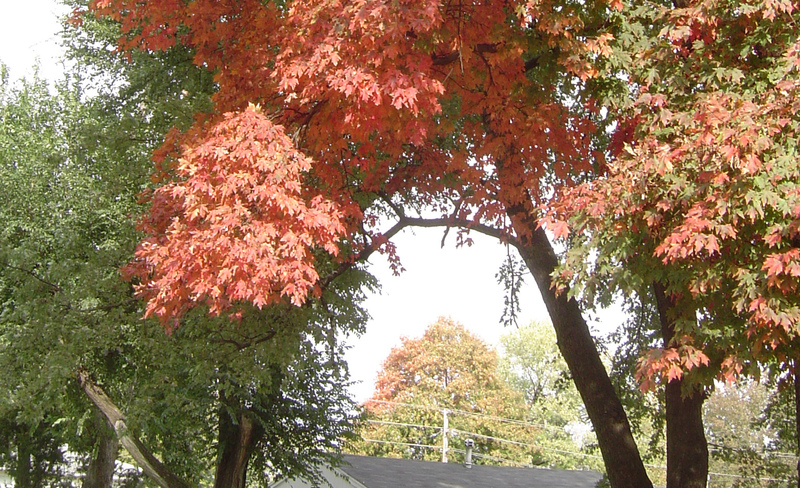 Until the heatwave here is some leaves that are ending their photosynthesis lifespan, revealing some wonderful colors underneath. Love the arch on this picture! I made cookies for breakfast yesterday (fun) before having to go to work (on a saturday – not so much fun! ), but in doing so, I think I crashed myself with all that sugar. I have been a little sleepy as a result. Yawn. No sewing, nothing but cleaning out my inbox. Yuck. … Anyway, is there any possible way I could ask for your help? …. 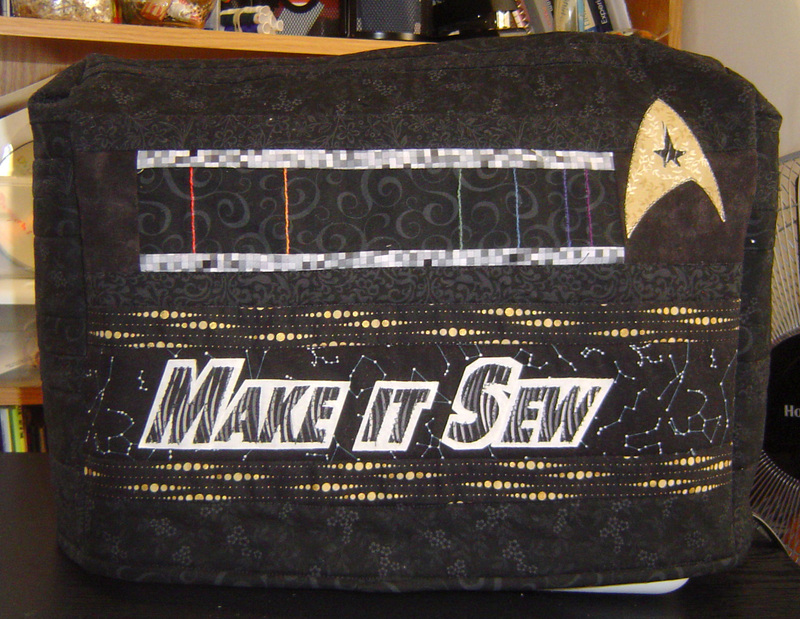 A week ago I submitted my “Make it Sew” project to Geek Crafts (about page here) to be considered to be uploaded on their blog. I received no reply, and no mention of this on their site … yet. I am hoping there is just a long waiting list of projects. I don’t know why I have wanted this to show up on their site, but somehow I do! Perhaps it’s not cool enough? I mean, how much more geeky can it get … you have star trek – a science fiction program, AND you have science, in a cute pun of scientific spectra – “dilithium spectra” (well 2 lithium spectra anyway). I have already submitted once on my own, but if anyone else would like to help, here is the submit a geeky craft link to their site. And just put in the following text for the website: “https://scientificquilter.wordpress.com/2011/01/29/11-2-fixed-it-and-more/” and say how geeky and cool it is. If you decide to help, thank you. If not, I’ll just go along with my geeky self here. Thanks! 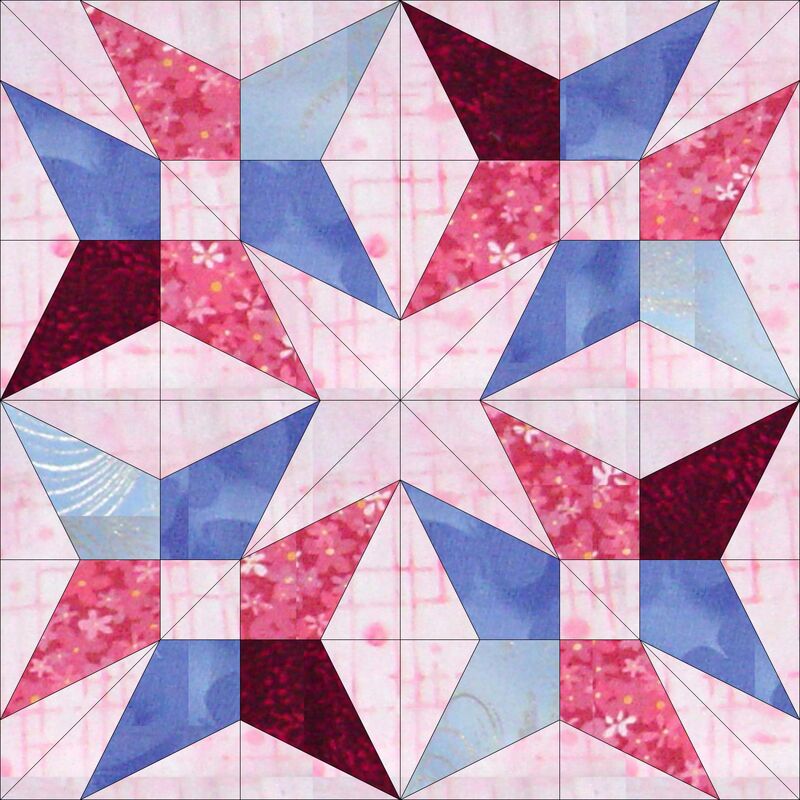 Okay, I was trying to do a Monochromatic Color challenge because when I stumbled upon Judy’s blog, Patchwork Times in January, I was intrigued by the idea to make a monochromatic quilt. Of course, so is Scraphappy of SoScrappy doing a Rainbow Scrap challenge. New year, new idea, let’s play along. Okay, actually, I wasn’t going to play along until I found out the colors of each for the month of January. I have loads of blue (well compared to some of the other colors I have), and hardly any yellow (or orange actually), but maybe I would like to try one of these challenges. I was in a funk, the weather is cloudy and cold in January here, blue is the last color I want to remind myself of in this dreary month. Okay, would it even be possible to find light and dark colors of yellow so I could participate? THAT is the challenge. Yellow, for me, is just one of those colors. You see a piece of ‘bright’ yellow and you automatically think (incorrectly) that bright = dark. Not true. 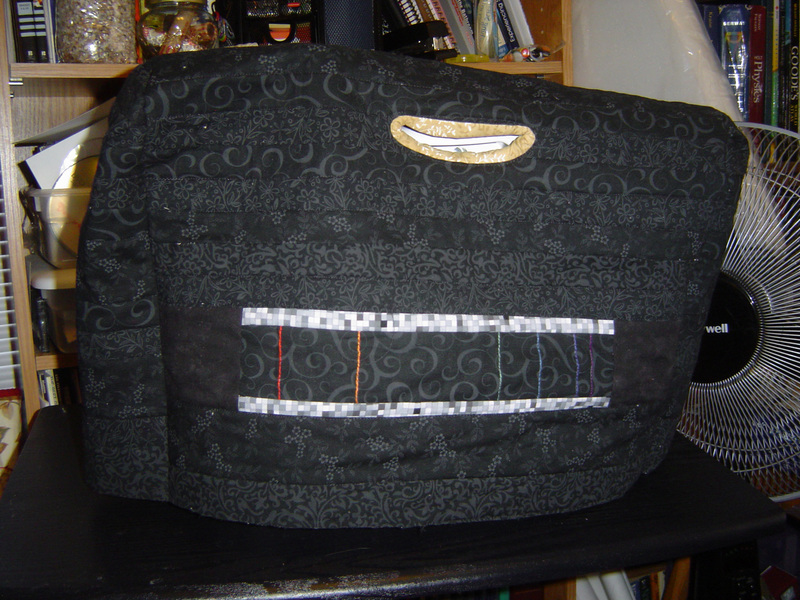 I was able to cut my fabrics into 2 1/2 inch strips and then take a black and white picture to see the values. It turns out I actually didn’t own any really light yellows, and one of the yellows in the dark range has a little green twinge. But I still have some contrast. 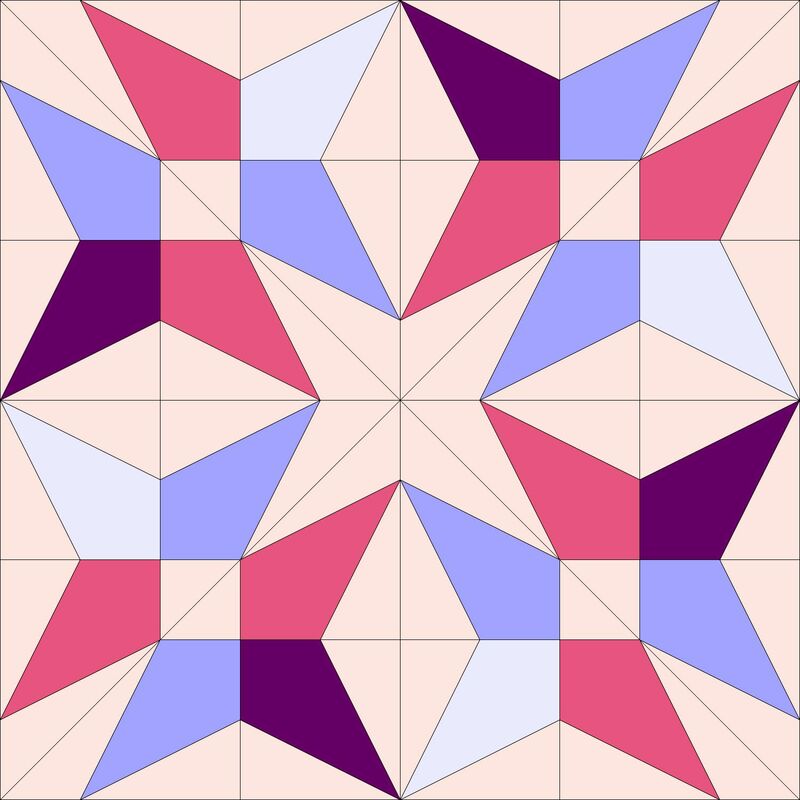 This is the project I decided to find Quiltville’s scrap project page, and looking down the long list of possible scrap patterns I found the Strip Twist block. This block lends itself to high contrast, so I figured that it would be good for monochromatic purposes. I then saw my butterfly picture on my calendar, and I was all set. Scanning the butterfly into the computer, printing out the outline, tracing around the outside of all the yellow pieces, fusing them down with fusible onto yellow fabric, cutting all the pieces out, I stuck it in a baggie, was very proud of all the work I had done. Then we went on christmas vacation. In January. During the first really large snow storm in our area. I thought, “OH, I’ll need to take this with me to fuse it down in the hotel with the iron to have something to do when I wake up very early”, I’ll just put it <here> before we go”. And we were on vacation 3 weeks ago. And for the last three weeks, I have failed to find the <here> place I put the pieces. So I had the perfect spot for the blocks, made them (one being backwards), decided that two blocks were enough for where I wanted to place this quilt. Couldn’t move on because of my lost butterfly. I spent all day this past sunday cleaning up my room including going through my neglected scrap basket and organizing my scraps. Finally last night, I found the butterfly. So here it is, monochromatic color quilt, fused with the butterfly, but not completed. Time to go back it and quilt it. I need that to brighten up my day, ’cause there is a heap of snow a comin’. You are currently browsing the archives for the Scientific Inspiration category.